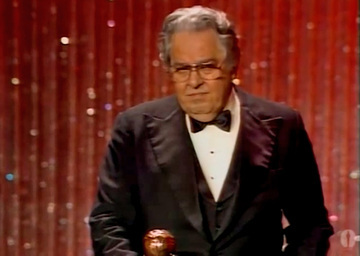 Albert Romolo Broccoli, nicknamed "Cubby," was a film producer who made more than 40 motion pictures throughout his career. Most of the films were made in the United Kingdom and often filmed at Pinewood Studios. Co-founder of Danjaq, LLC and Eon Productions, Broccoli is most notable as the producer of many of the James Bond films. He and Harry Saltzman saw the films develop from relatively low-budget origins to large-budget, high-grossing extravaganzas, and Broccoli's heirs continue to produce new Bond films.